Henry Eichner’s son may share his name and his disability, but Eichner was determined to not let him share his schooling experience. Eichner was bullied in his public schools for having muscular dystrophy. So Eichner enrolled Henry Jr. in a private school in Florida, a financial challenge for a single father. Then one day he met Wendy Howard, a school choice advocate, at a networking event. Howard asked him if his son was attending his private school using the Florida state-funded Gardiner Scholarship Program, which provides funds for students with disabilities to use on private school tuition or therapy services. That was the first time Eichner had heard of the program. Finding parents who want educational choice options but aren’t aware of them is a problem, advocates say. 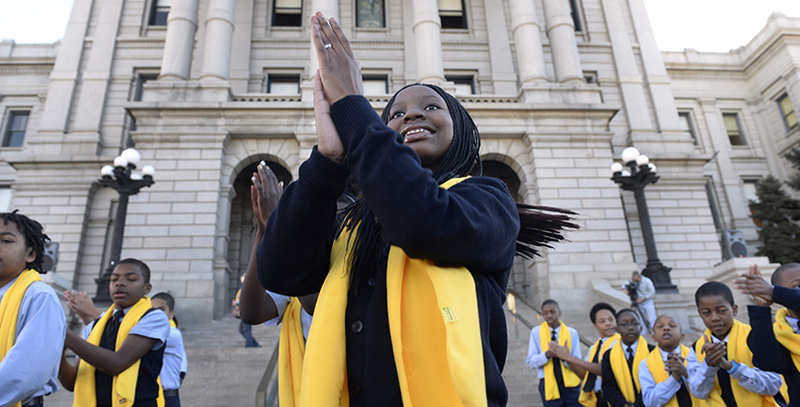 National School Choice Week has been trying to close that information gap since 2011, when it hosted 150 events. This year, organizers say, from Jan. 22–28, the campaign includes a record-breaking 20,000 events across the United States to educate the public about school choice options, many of them involving traditional district schools. The events, like the one Wendy Howard is coordinating in Pasco County, Florida, can be large productions. Her group fundraised to bring rock-climbing walls, bounce houses, DJs and a traveling children’s museum to keep the kids busy while their parents can learn about choice options. Speakers will include a school choice officer from the state Department of Education and the deputy superintendent of Pasco County schools. Howard’s team is also developing a website to inform parents of the school choice options in their neighborhoods. “It’s important that every child have the opportunity to reach their God-given potential,” Howard said, whether that’s in a district, charter, private, online, magnet or home school. Traditional public schools are participating too, as declining enrollment is forcing some to advertise for the first time, educators said. At J. Hendricks Elementary School in Tucson, Ariz., the school will be advertising through newsletters and holding an awards ceremony where it will thank parents for choosing the elementary. Wells has been an educator in his Tucson district for 30 years. Though his elementary school is one of many that have experienced declining enrollment, he found that advertising brought record open-enrollment numbers to his school, where 180 of the 470 K-6 students come from outside the school’s assigned population.